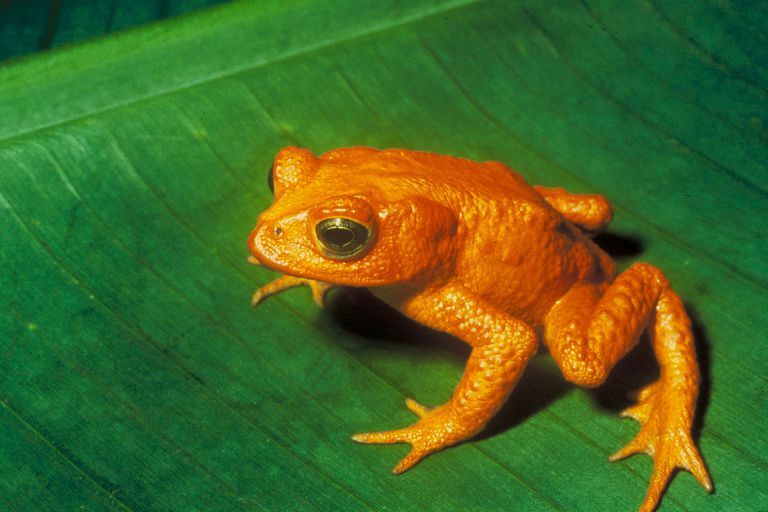 The Golden Toad, a recently extinct amphibian species. The earth teems with life: thousands of species of vertebrate animals (mammals, reptiles, fish, and birds); invertebrates (insects, crustaceans, and protozoans); trees, flowers, grasses and grains; and a bewildering array of bacteria, algae, and other single-celled organisms, some inhabiting scalding-hot deep-sea thermal vents. And yet, this rich profusion of flora and fauna seems paltry compared to the ecosystems of the deep past: by most reckonings, since the beginning of life on earth, a whopping 99.9 percent of all species have gone extinct. Why? This is the first thing most people associate with the word "extinction," and not without reason, since we all know that a meteor impact on the Yucatan peninsula in Mexico caused the disappearance of the dinosaurs 65 million years ago. It's likely that many of the earth's mass extinctions--not only the K/T Extinction, but also the much more severe Permian-Triassic Extinction--were caused by such impact events, and astronomers are constantly on the lookout for comets or meteors that could spell the end of human civilization. Even in the absence of major asteroid or comet impacts—which can potentially lower worldwide temperatures by 20 or 30 degrees Fahrenheit—climate change poses a constant danger to terrestrial animals. You need look no further than the end of the last Ice Age, about 11,000 years ago, when various megafauna mammals were unable to adapt to quickly-warming temperatures (they also succumbed to a lack of food and predation by early humans. See those items further along). And we all know about the long-term threat global warming presents to modern civilization! While it's unusual for disease alone to wipe out a given species—the groundwork has to be laid first by starvation, loss of habitat, and/or lack of genetic diversity—the introduction of a particularly lethal virus or bacterium at an inopportune moment can wreak havoc. Witness the crisis currently facing the world's amphibians, which are falling prey to chytridiomycosis, a fungal infection that ravages the skin of frogs, toads, and salamanders and causes death within a few weeks, not to mention the Black Death that wiped out a third of Europe's population during the Middle Ages. Most animals require a certain amount of territory in which they can hunt and forage, breed and raise their young, and (when necessary) expand their population. A single bird may be content with the high branch of a tree, while large predatory mammals (like Bengal Tigers) measure their domains in square miles. 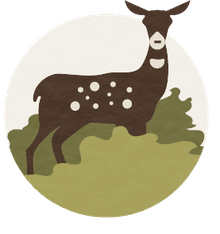 As human civilization expands relentlessly into the wild, these natural habitats diminish in scope—and their restricted and dwindling populations are more susceptible to the other extinction pressures listed here. Once a species starts dwindling in numbers, there's a smaller pool of available mates, and often a corresponding lack of genetic diversity. (This is the reason it's much healthier to marry a complete stranger than your first cousin, since, otherwise, you run the risk of "inbreeding" undesirable genetic traits, like susceptibility to fatal diseases.) To cite just one example: because of extreme habitat loss, today's dwindling population of African cheetahs suffers from unusually low genetic diversity​ and, thus, may lack the resiliency to survive another major environmental disruption. Here's where we risk succumbing to a dangerous tautology: by definition, "better-adapted" populations always win out over those that lag behind, and we often don't know exactly what the favorable adaptation was until after the event! (For instance, no one would have thought that prehistoric mammals were better adapted than ​dinosaurs, until the K/T Extinction changed the playing field.) Usually, determining which is the "better adapted" species takes thousands, and sometimes millions, of years. While most struggles for survival transpire over eons, sometimes the contest is quicker, bloodier, and more one-sided. If a plant or animal from one ecosystem is inadvertently transplanted into another (usually by an unwitting human or an animal host), it can reproduce wildly, resulting in the extermination of the native population. That's why American botanists wince at the mention of kudzu, a weed that was brought here from Japan in the late 19th century and is now spreading at the rate of 150,000 acres per year, crowding out indigenous vegetation. Mass starvation is the quick, one-way, surefire route to extinction—especially since hunger-weakened populations are much more prone to disease and predation—and the effect on the food chain can be disastrous. For example, imagine that scientists find a way to permanently eliminate malaria by exterminating every mosquito on the face of the earth. At first glance, that may seem like good news for us humans, but just think of the domino effect as all the creatures that feed on mosquitoes (like bats and frogs) go extinct, and all the animals that feed on bats and frogs, and so on down the food chain! Marine animals like fish, seals, coral, and crustaceans can be exquisitely sensitive to traces of toxic chemicals in lakes, oceans, and rivers—and drastic changes in oxygen levels, caused by industrial pollution, can suffocate entire populations. While it's virtually unknown for a single environmental disaster (such as an oil spill or fracking project) to render an entire species extinct, constant exposure to pollution can render plants and animals more susceptible to the other dangers in this article, including starvation, loss of habitat, and disease. Humans have only occupied the earth for the last 50,000 or so years, so it's unfair to blame the bulk of the world's extinctions on Homo sapiens. There's no denying, though, that we've wreaked plenty of ecological havoc during our brief time in the spotlight: hunting the starved, straggling megafauna mammals of the last Ice Age, depleting entire populations of whales and other marine mammals, and eliminating the Dodo Bird and the Passenger Pigeon virtually overnight. Are we wise enough now to cease our reckless behavior? Only time will tell.